“Wayzgoose” is one of those old words of mysterious origin, but what is certain is that it was a time of celebration for printers, and printers are people who particularly enjoy celebrating! Today, the term is applied to book artists to exhibit and sell their beautiful hand crafted work. And yes, to celebrate as well. 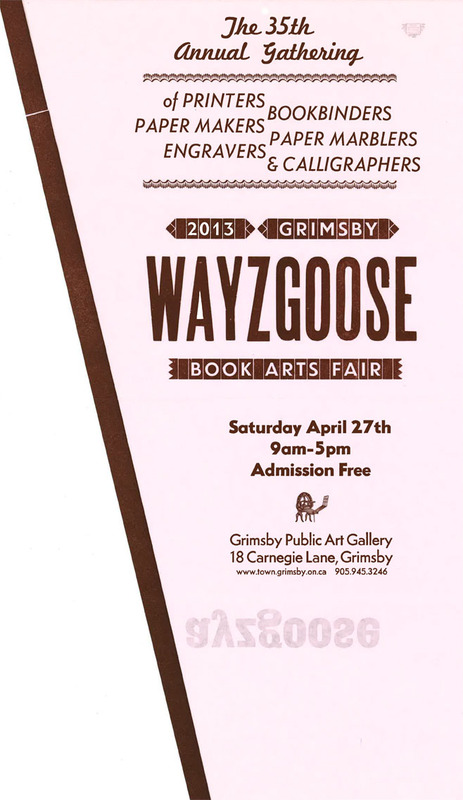 The Wayzgoose in Grimsby, Ontario is a venerable book arts show, founded by the renown Bill Poole, and one we’ve exhibited at for the past five or six years. 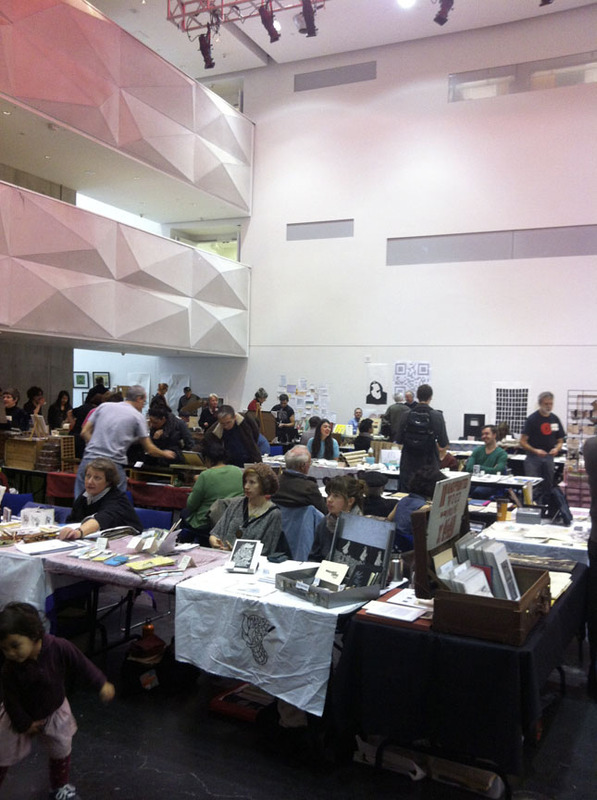 Once again, we’ll have a table there offering books and prints. Hope to see you! 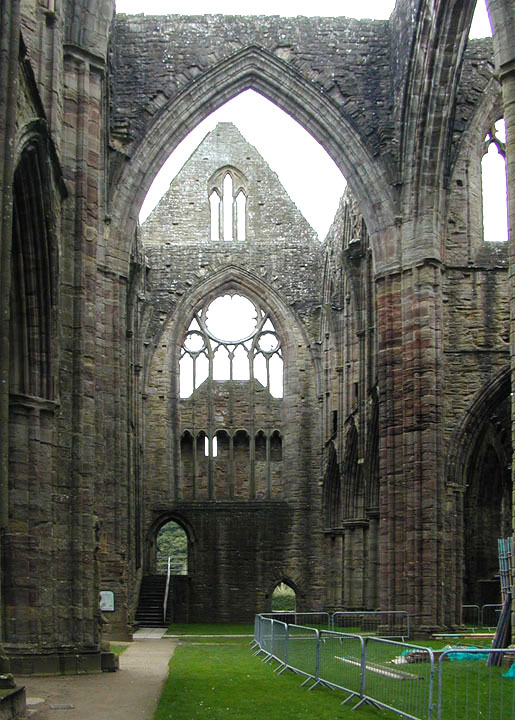 Tintern Abbey from inside the nave. It all started with our trip to England, back in October 2008. Holly and I took a rambling jaunt around the English countryside that took us from Land’s End to Yorkshire. Along the way we dipped into Wales while following the Wye River, stayed in a village called Llandago and visited with Nicolas and Frances McDowall of Old Stile Press who live just up the road from the ruins of Tintern Abbey. About 10 years go they created a simply lovely book of the poem. 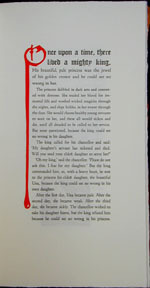 All their books are stunning – hand printed sometimes on paper made on site. They have an image rich website worth exploring! 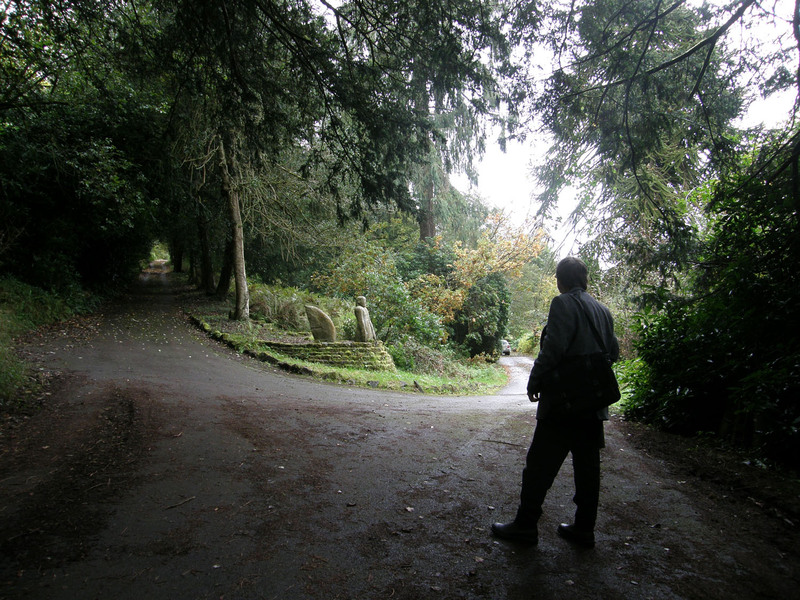 The lane way to Old Stile Press, mer-person sculpture at the hairpin. 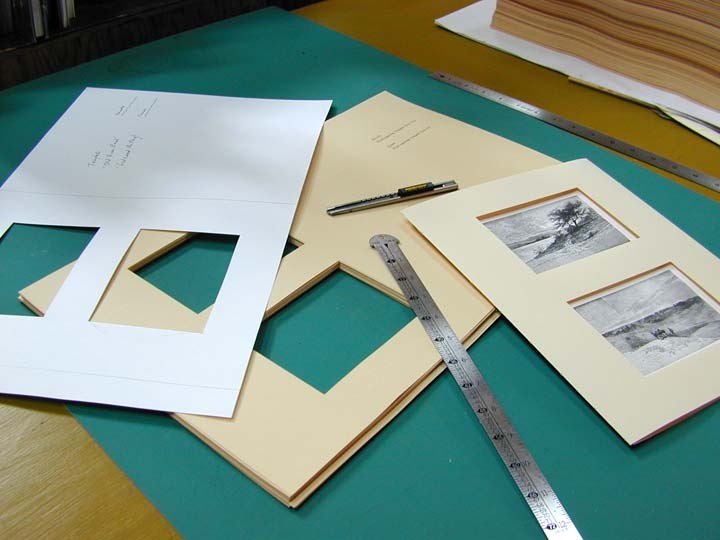 I liked Nicholas’ idea of being a ‘book builder’, of using letterpress, fine papers and bindings as an elegantly designed platform for presenting art – both in the design of the book, and in the overt and integral use of art as illustration. I think it would be over-wrought to say that the visit changed my life, but it greatly influenced the direction I intended to take Greyweathers Press. The trip to England came at a time when I was doing some heavy thinking about printing, books, writing, art and, not to be ignored, making a living! 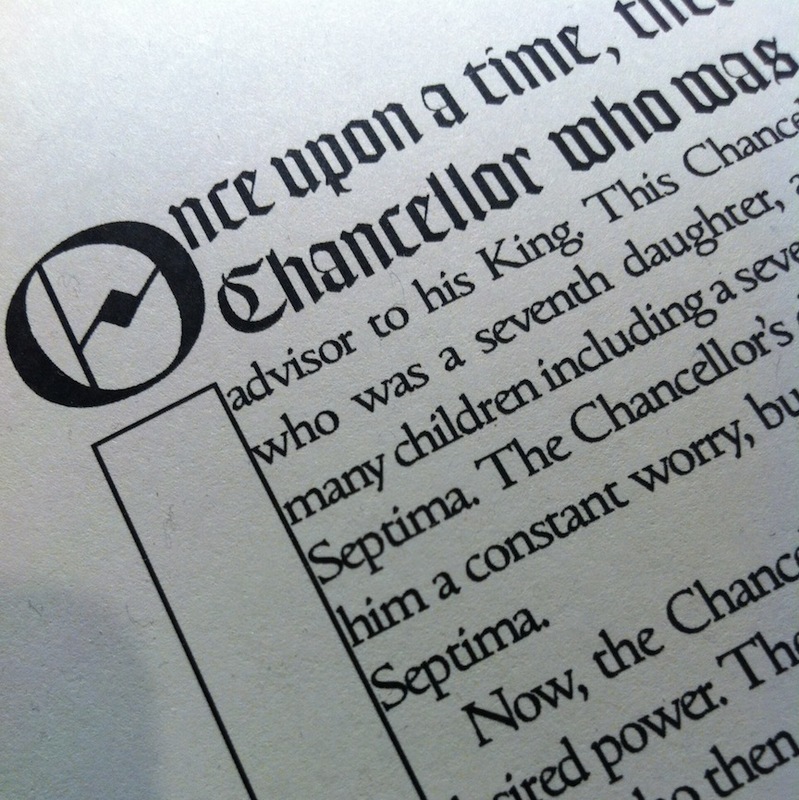 Not that I was planning to pack it in, but there are many applications for letterpress and I believe it helps to focus. The visit to Old Stile, and three or four other likewise inspirational destinations including Eagle Press, Strawberry Press and St. Bride Library in London, provided the needed inspiration to carry on printing books. Contemplating books, printing and art amongst the ruins. The scenic Wye River Valley that inspired Wordsworth can be seen beyond the windows. 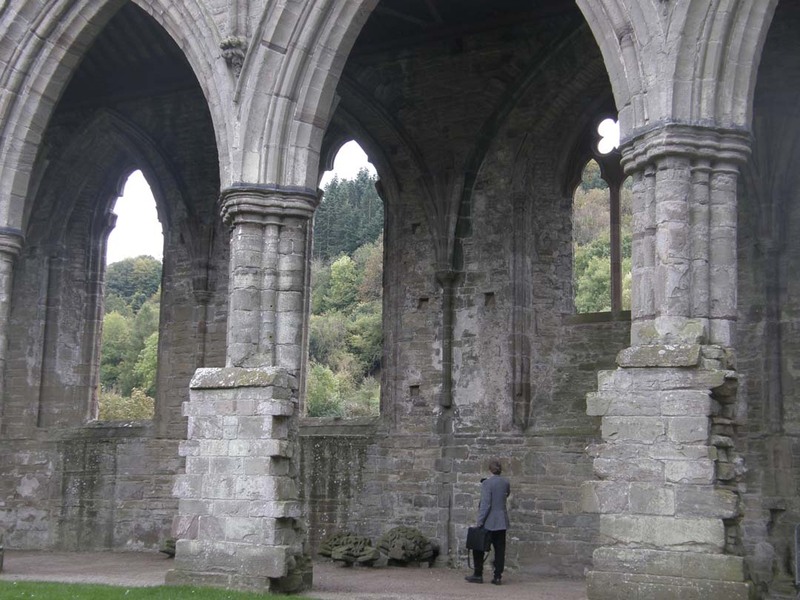 Unlike Wordsworth and his sister Dorothy, Holly and I didn’t walk “the sportive wood run wild.” Rather we stuck mostly to A466, and wandered leisurely through the roofless splendor of Tintern Abbey. 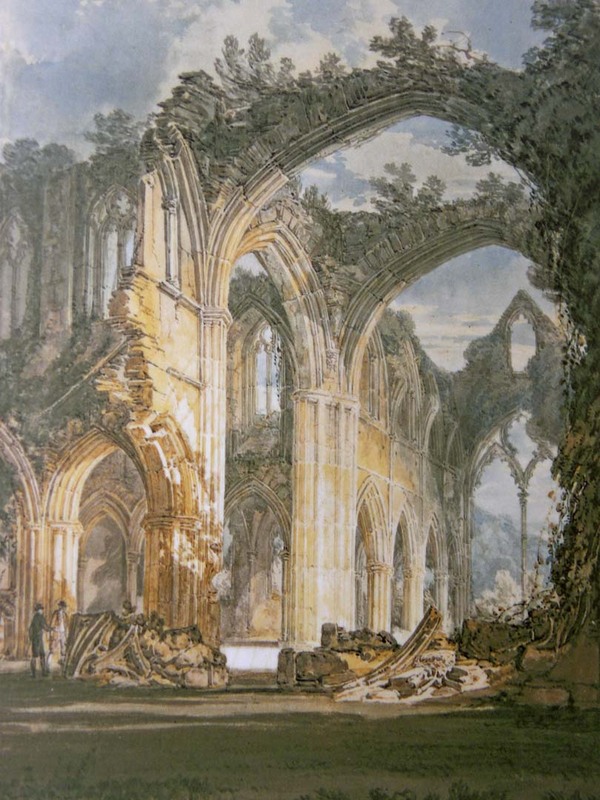 The ruins of the Abbey served only to act as part of the title of Wordsworth’s poem, simply to locate him in context for his reader. 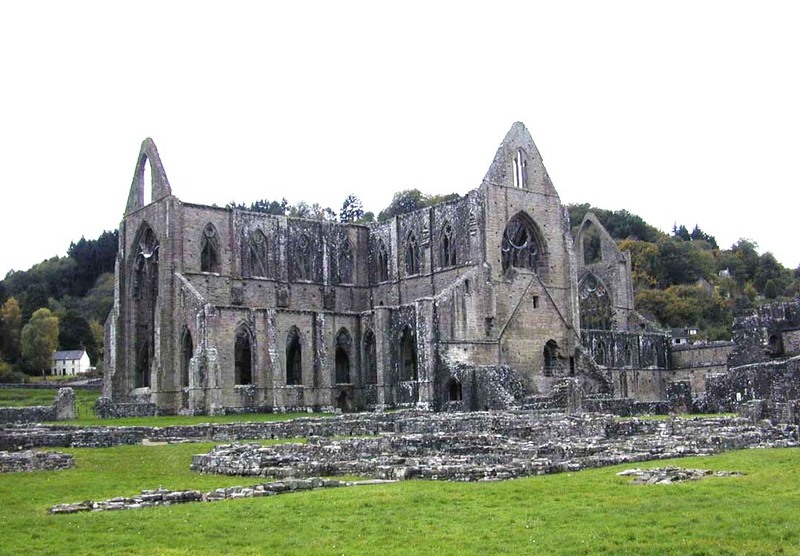 However, for me they connected influential literary aspects of my distant past with present passions, forming a sort of conduit resulting ultimately in our take on Wordsworth’s Tintern Abbey, making it, I suppose, the press’ legacy of our England tour. 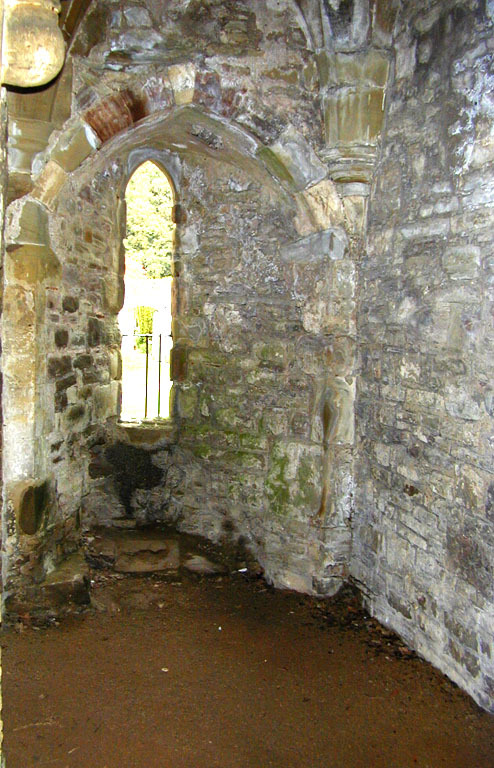 The smallest room in Tintern Abbey was the library, about the size of a walk-in closet. 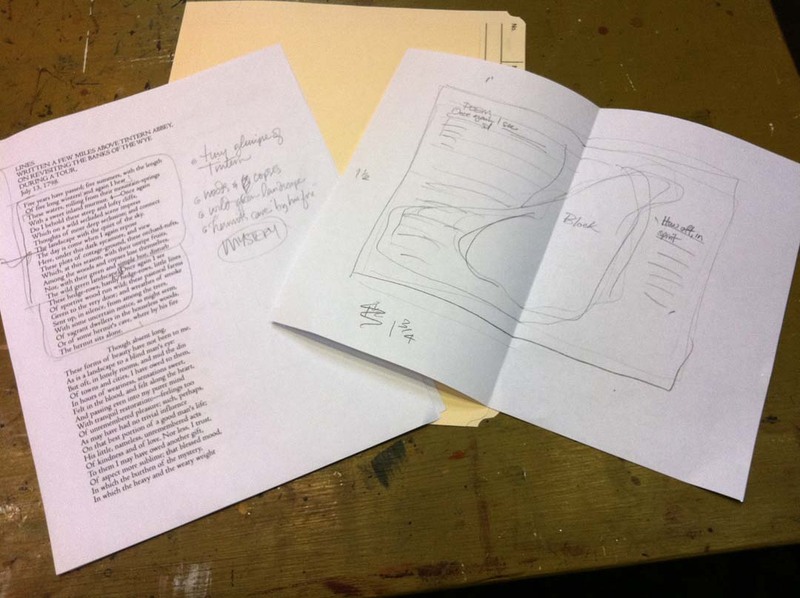 Planning has begun on our next book, Tintern Abbey, the celebrated poem by a celebrated poet, William Wordsworth. Wordsworth is not my favourite Romantic poet. In fact, Coleridge, Keats, Shelley and Byron all line up ahead, but he was probably more important than the others to the whole notion of Romanticism in the early 19th century. In October of 2008, Holly and I saw the ruins of the abbey, and they are indeed wonderful, but they do not warrant even a mention in the poem. However, many critics believe the meaning-laden layers of the poem conceal the spirit of the place. 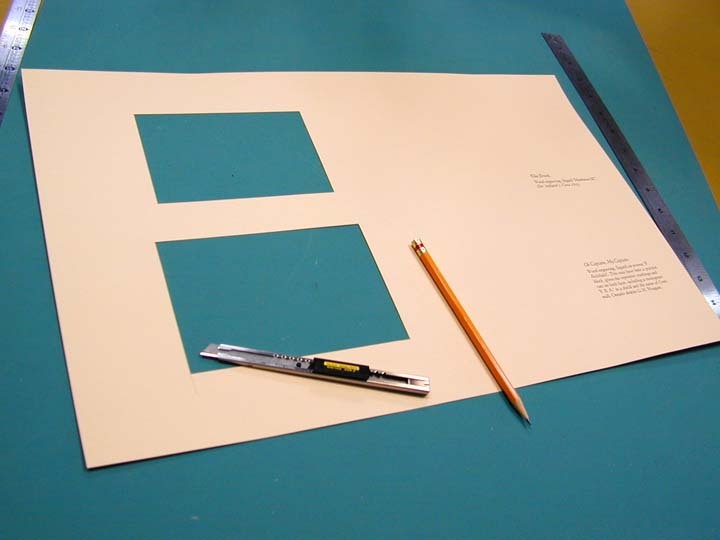 Cutting template, cut sheets, final product ready to sew into the text block. Endlessly delayed, I am pleased to report that principle printing on Graven Images is complete. 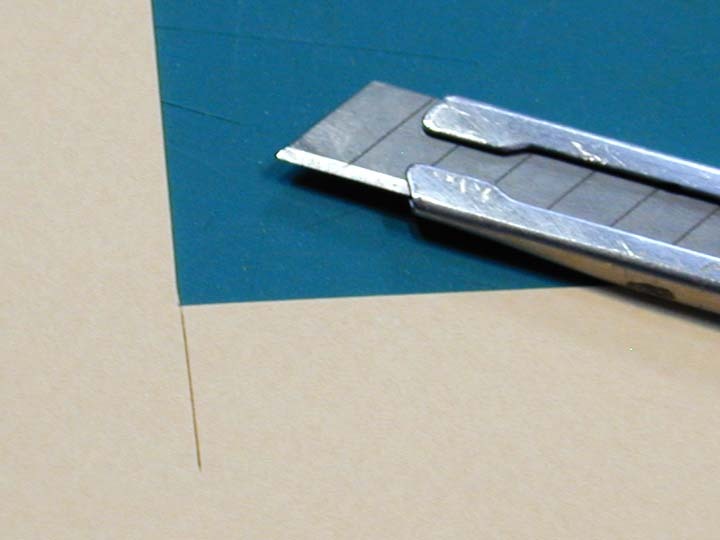 The daunting task before me know is to hand cut 325 windows into 200 sheets, which is enough to bind 25 copies of the book. (these will serve as mattes or windows for the engravings). Hopefully 25 will be enough to satisfy the market until later in October.